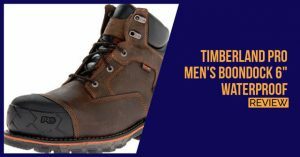 Timberland is widely known for the quality and the amount of extra time they invest in the design of their boots. 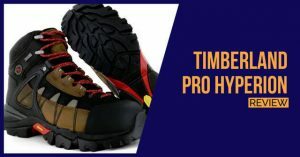 The Timberland PRO Pitboss is a steel-toe design with this same precision manufacturing. I wear my Timbs from sun-up to dinnertime and also love how they look. If I’m running to the bank, or even meeting someone to create a proposal, I know that these work boots look professional. 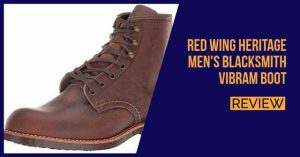 The boots have been constructed from seriously durable leather and you can be sure that your feet will be well-protected. It’s a 6″ mid-cut boot and features a soft-lined collar at the top to avoid irritating your skin by rubbing. Timberland has lined the Pitboss with antimicrobial material. If you work in damp, humid areas or just plain have smelly feet, you’ll notice a big benefit with this lining. The sole is synthetic and this is actually a lot more impressive than the average rubber sole you find on most other work boots. The softness will mold to your feet much better and there isn’t really any discomfort from wearing them for a full workday. Shock absorption has also been added to this boot’s sole. 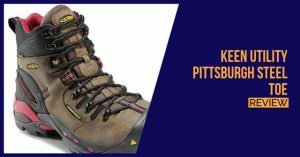 If you’re climbing and jumping around worksites, a sole that spreads the shock load will save your joints a ton of pain. Quality soles are a Timberland tradition and I continue to buy them because it keeps my feet from feeling dog-tired at the end of a long day. Also worth mentioning, to absorb moisture, the polyurethane midsole has a water resistant cover and this will help you wick away sweat and keep the shoes dry on the inside. Working in damp boots is the worst misery. The steel toe in this one is not really that heavy (some are!) and the weight saved by using top-shelf soles also helps. 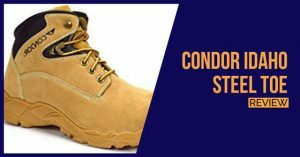 You’ll feel plenty protected from falling objects and comfortable on surfaces from concrete factory floor to construction site. 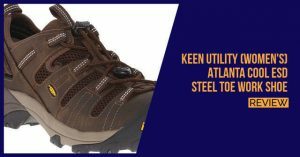 We highly recommend these work boots for their affordable price tag and if you are looking to save a few bucks and still get great quality, these shoes will be ideal for you. They are also recommended for working in warehouses and at construction sites, but farmers have also gravitated to them, due to the stylish and durable design.